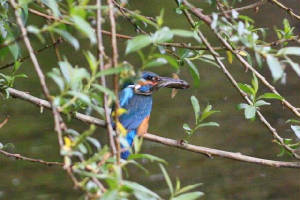 BALLYSCANLAN LAKE: 3 adult HOBBIES now present. 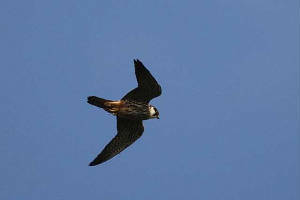 BALLYSCANLAN LAKE (nr Fenor): HOBBY feeding over lake. KILMEADEN POOLS: Male & female Gadwall. 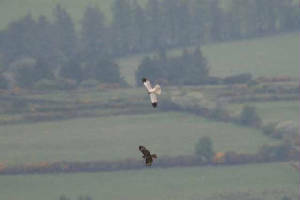 Nr KNOCKMEALDOWN MOUNTAINS: Male & female Hen Harrier, Buzzard & Cuckoo. 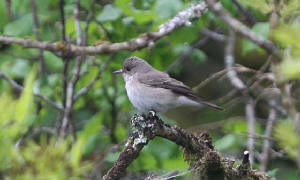 Nr BUNMAHON: Spotted Flycatcher at Seafield weir. KNOCKADERRY RESERVOIR: Hybrid Whooper / Mute Swan, adult & juvenile Dipper, & Cuckoo calling nearby. BUNMAHON: Adult Ring-billed Gull at mouth of River Mahon. CLONEA STRAND: 1st-summer Mediterranean Gull at Ballinclamper; another colour-ringed Sanderling at Ballinclamper had been ringed at Banc d'Arguin, Mauritania, 15 Dec 2009. CLONEA STRAND: A colour-ringed Sanderling at Ballinclamper today had been ringed at Banc d'Arguin National Park, Mauritania, west Africa, 4 Dec 2005, and resighted there Dec 2006 & Dec2007 before the Waterford sighting. 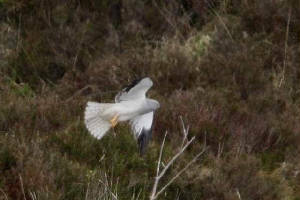 MONAVULLAGH/COMERAGH MOUNTAINS: Male Hen Harrier. NR BALLYMACARBRY: Dipper at Creggane Bridge, Spotted Flycatcher SE of Creggane. MONAVULLAGH/COMERAGH MOUNTAINS: Male Hen Harrier & 14+ Green Hairstreak butterflies. Nr STRADBALLY: 2 Spotted Flycatchers & a Dipper at Carrickanaffrin Bridge. STRADBALLY: c30 species on Dawn Chorus outing including Treecreeper & Black Guillemot; Spotted Flycatcher & Dipper at Carrickanaffrin Bridge. BROWNSTOWN HEAD: Spotted Flycatcher & 3 Wheatears. 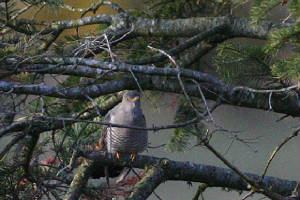 DRUM HILLS: 2 Cuckoos calling at Toor North, nr Mountstewart. 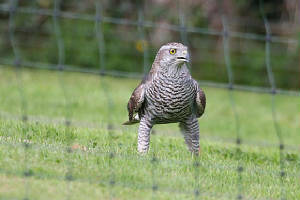 MONAVULLAGH/COMERAGH MOUNTAINS: 2 Cuckoos calling; female & 2 male Hen Harriers. PILLTOWN / KINSALEBEG: Male GARGANEY (c5th county record?) at Pilltown constructed wetlands. NW WATERFORD: Pair of Buzzards. COMERAGH MOUNTAINS: Cuckoo calling near Coumtay. MONAVULLAGH/COMERAGH MOUNTAINS: Female Hen Harrier. 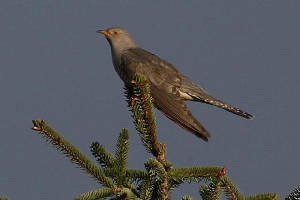 KNOCKMEALDOWN MOUNTAINS: Cuckoo calling near Knocknafallia. CURRAGH BEACH (nr Ardmore): Pair of Dippers. 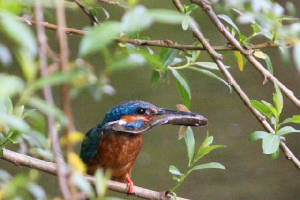 Nr BALLINAMULT: Dipper pair at Priestown Bridge. MONAMINTRA BOG: Grasshopper Warbler singing. KILCARAGH / KNOCKBOY: Water Rail calling. CLONEA STRAND: 3 Great Northern Divers, adult dark-bellied Brent Goose, 13 Whimbrel & 51 Sanderling at Ballinclamper. Nr MT MELLERAY: Dipper at Melleray Bridge. DUNGARVAN: Adult BLACK BRANT, adult dark-bellied Brent, & 2 probable 1st-smmer Black Brant hybrids at the Cunnigar. CLONEA STRAND: 62 Whimbrel nr Clonea Castle; Whitethroat singing at Clonea Upper. BROWNSTOWN HEAD: Spotted Flycatcher, Whitethroat, 2 Grasshopper Warblers & 3-4 Wheatears. KILSHEELAN to CLONMEL: 2 Spotted Flycatchers (1st of year) at Gurteen; Jay at Tikincor; total 22+ singing Blackcaps. BROWNSTOWN HEAD: 2 Swifts flew north. BROWNSTOWN HEAD: 2 Great Northern Divers on sea. BUNMAHON to BALLYVOYLE: 10+ Skylarks singing. CLONEA STRAND: 4 Great Northern Divers. ARDMORE: Swift; 93 Whimbrel at Curragh beach. CROHAUN: Long-eared Owl & 3 Cuckoos. Nr BUNMAHON: Snipe drumming at Seafield. HELVICK HEAD: Garden Warbler, female Common Redstart, & Blackcap. Nr CROHAUN: 2 male Cuckoos calling, at Kilbrien Upper & Kilnafrehan West. Nr TALLOW: 3 Swifts flew west at Coolydoody Wood. RIVER FINISK: Dipper at Modelligo Bridge, below Millstreet. FERRY POINT to ARDMORE: 3 Whitethroats & 3 Tree Sparrows. WHITING BAY: Swift & Sedge Warbler. DUNGARVAN: Common Scoter at Ring, near Helvick; Common Sandpiper at Ballyneety. Nr STRADBALLY: Dippers at Cloghlowrish & Durrow Bridges on River Tay; Grasshopper Warbler singing nr Durrow Bridge; Swift at Kilminnin Upper. TRAMORE BOATING LAKE: Whooper Swan. HELVICK HEAD: Whitethroat (first of spring), Wheatear, Blackcap, 6 Willow Warblers & 3 Chiffchaffs. DUNGARVAN: 17+ occupied Little Egret nests; 47+ Whimbrel; Sedge Warbler singing along Brickey River; 2 'Greenland' Wheatears at the Cunnigar. CLONEA STRAND: 55 Whimbrel & an Arctic Tern at Ballinclamper. ANNESTOWN BOG: 3+ Sedge Warblers (first of spring) nr Dunhill Castle. BALLINLOUGH: 6 Sedge Warblers & Cuckoo. BROWNSTOWN HEAD: Grasshopper Warbler, 2 Blackcaps, 3 Willow Warblers & a Chiffchaff. 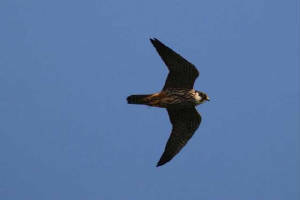 DUNGARVAN: Swift (first of spring). RAM HEAD: 200 Manx Shearwaters, Minke Whale, 3 Bottlenose Dolphins & 2 Risso's Dolphins. 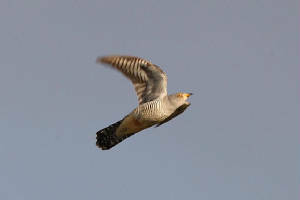 BALLINLOUGH: Cuckoo - first of the year. DUNGARVAN: Male OSPREY flew west; 'Greenland' Wheatear at the Cunnigar. BROWNSTOWN HEAD: 4 Willow Warblers. 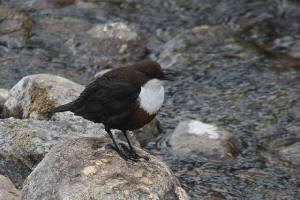 TALLOW: 2 Dippers on Glenaboy River. DUNGARVAN: Common Sandpiper at Ballyneety. CLONEA STRAND: White Wagtail, 35 Whimbrel & 5-6 Bottlenose Dolphins at Ballinclamper; White Wagtail at Ballinard. Nr BUNMAHON: 3 Common Sandpipers at River Mahon & 2 drumming Snipe. 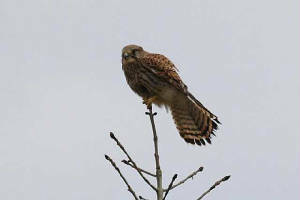 BROWNSTOWN HEAD: Merlin & 3 Wheatears. 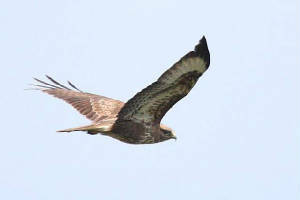 COMERAGH/MONAVULLAGH MOUNTAINS: Female Hen Harrier & 4 pairs of Wheatears. WHITING BAY: 3 White Wagtails, & c80 pairs of Sand Martins excavating burrows. 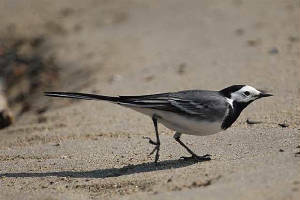 CLONEA STRAND: White Wagtail & 52 Sanderling at Ballinard, 10 Whimbrel at Ballinclamper. DUNGARVAN: 10 Sandwich Terns at Ballynacourty. TRAMORE: 7 Gadwall at Boating Lake, 25 Whimbrel at Backstrand. 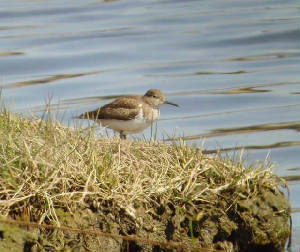 COOLFIN: Green Sandpiper along Clodiagh River. CLONEA STRAND: 3 Great Northern Divers, 12 Black Guillemots, 3 Whimbrel, 45 Sanderling & White Wagtail at Ballinclamper. RIVER BRICKEY (nr Dungarvan): Kingfisher & Red-legged Partridge between Twomile & Knockmaon bridges, Green Sandpiper below Twomile Bridge, & totals of 27 Chiffchaffs, 16 Willow Warblers & 3 Blackcaps. 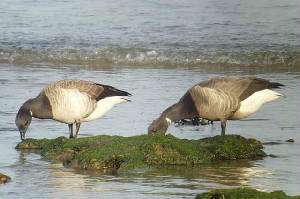 CLONEA STRAND: Adult dark-bellied Brent Goose & Purple Sandpiper at Ballinclamper. Nr WATERFORD CITY: Barn Owl. CASTLETOWN FEN: Grasshopper Warbler singing (first of spring). BROWNSTOWN HEAD: Wheatear & 2 Willow Warblers. CARRICKAVRANTRY: c25 Chiffchaffs, c12 Willow Warblers, Blackcap & Swallow. WHITING BAY: Mixed flock of c65 Sand Martins, House Martins & Swallows. CARRICKBEG: 2 Chiffchaffs & 6 Swallows. HELVICK HEAD: Red-throated Diver, Sandwich Terns, Swallow, 20 Common Dolphins & 7 Porpoises. Nr CARRICK-ON-SUIR: 2 Swallows upriver. KEREEN (nr Aglish): 6 Swallows. HELVICK HEAD: Pomarine Skua, 2 Great Skuas, 2 Common Scoter & 6 Puffins flew W (seawatch 12:00-13:00). BROWNSTOWN HEAD: Great Skua & 175 Manx Shearwaters W, Sandwich Tern E, 2 Great Northern Divers W & 2 E (seawatch 10:25-11:25); male Blackcap on land. KNOCKMEALDOWN MOUNTAINS: 2 Red Grouse on Co Tipperary side. 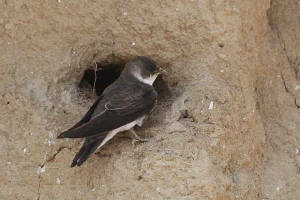 BALLYQUIN (nr Ardmore): Good numbers of Swallows & Sand Martins. RAM HEAD: Porpoise & several Manx Shearwaters. DUNGARVAN: WATER PIPIT at the Cunnigar. CARRICKBEG HILL (nr Carrick-on-Suir): Willow Warbler. KNOCKADERRY RESERVOIR: Male RING-NECKED DUCK, c30 Swallows & c20 Sand Martins. 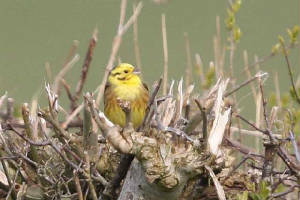 BROWNSTOWN HEAD: Willow Warbler & 2 Tree Sparrows. HELVICK HEAD: Swallow, female Blackcap & 2 Chiffchaffs. DUNGARVAN: House Martin (first of spring) at Abbeyside, 2 Swallows at Killongford, 6 Sandwich Terns at the Cunnigar. 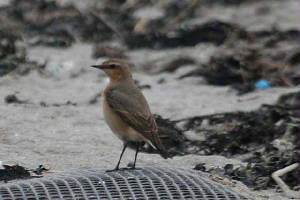 CLONEA STRAND: Whimbrel, 6 Sandwich Terns, Wheatear & 3 Swallows at Ballinclamper., also Swallow near castle. KILMURRIN COVE: 5 Sand Martins. ANNESTOWN: House Martin & 3 Swallows; 2 Water Rails calling & male Blackcap at Annestown Bog. 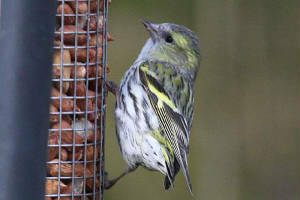 Nr TRAMORE: Sand Martin & 2 Willow Warblers, Monvoy; Swallow nr Islandtarnsey. WOODSTOWN BOG: Water Rail calling. CLONEA STRAND: 4 Swallows at Ballinard; 5 Whimbrel, Purple Sandpiper, 4 Sandwich Terns & a Willow Warbler, Ballinclamper to Ballinard. BALLINARD (nr Clonea Strand): Wheatear. 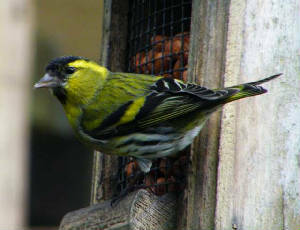 This bird was found ill, apparently poisoned, at a mid-Waterford location and would almost certainly have died if not taken into captivity. 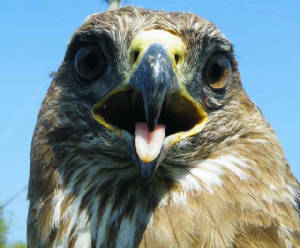 Another Buzzard, taken into care in west Waterford on St Patrick's Day, recovered from confirmed alpha-chloralose poisoning and was released. 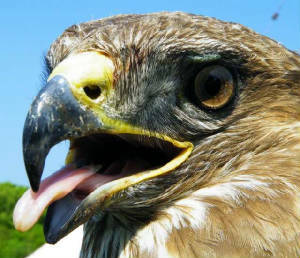 There have also been other suspected or confirmed poisonings of Buzzards in west Waterford or east Cork this spring. The pesticide alpha-chloralose is legally available for "vermin control" in Ireland (though banned in some countries), and the use of poisoned meat baits (but not livestock carcasses) is still allowed for control of Foxes (but not of Magpies or Hooded Crows).